After The Wool house there's not a lot of fabric, so we crossed the street and went back up Queen street towards Spadina again. 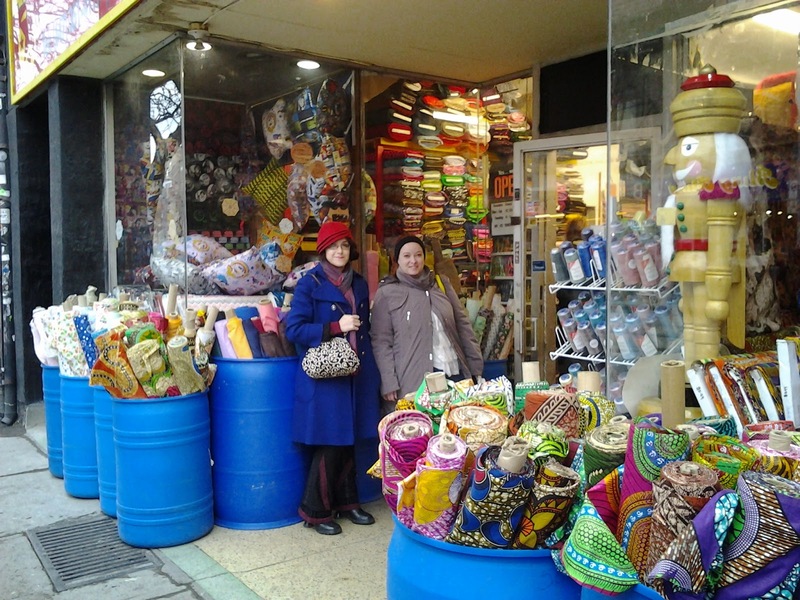 One note: it was cold and we had a time limit, so we didn't make the trek but if you're in the mood for the best imported Japanese silk ribbons walk down Queen street a little further to Mokuba at 575. It's a bit of a walk, and the prices are on the expensive side, but the trim and ribbon selection is amazing! Starting out, as you cross the street there's a shop called Aroma Espresso Bar. We decided that the cold day needed some coffee, so we stopped. I had a HUGE hot chocolate filled with marshmallows. Just the thing! They also had sandwiches and more substantial noms if you got hungry at this point. 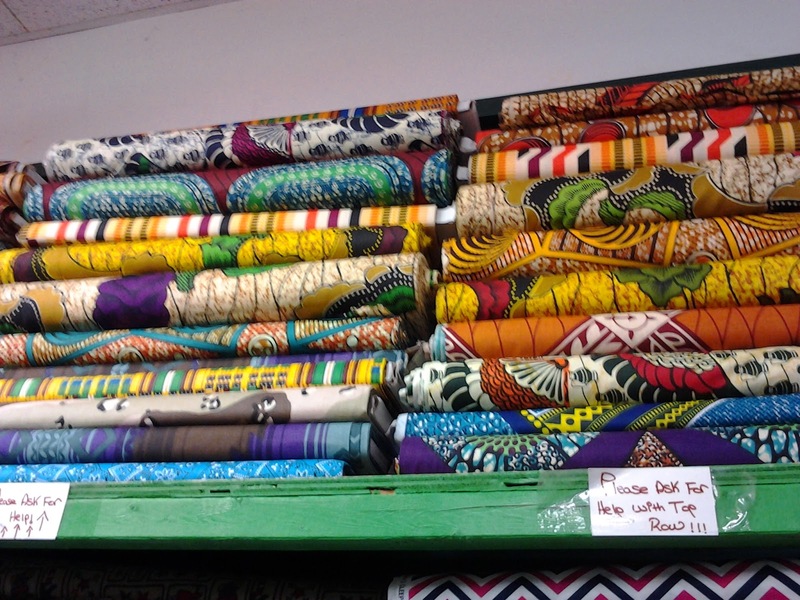 Next to Aroma is Affordable Textiles at 529. So big it needed two storefronts! 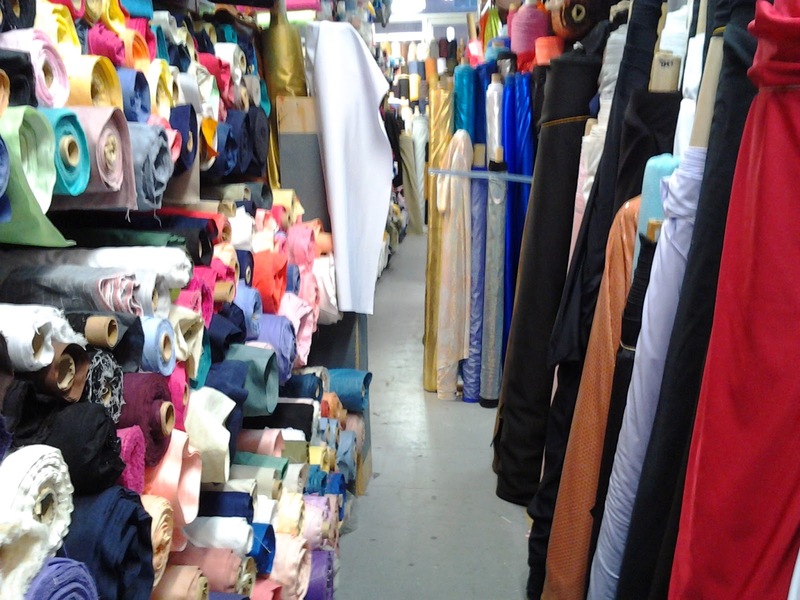 This is another place that's packed to the gills with yummy fabric so close you can barely get through. Here's some pretty quilting cottons. Even the door is crammed full. But, I found a Maral in all the chaos! Looking through the bargain bins outside. Next on to Arton beads at 523-525. 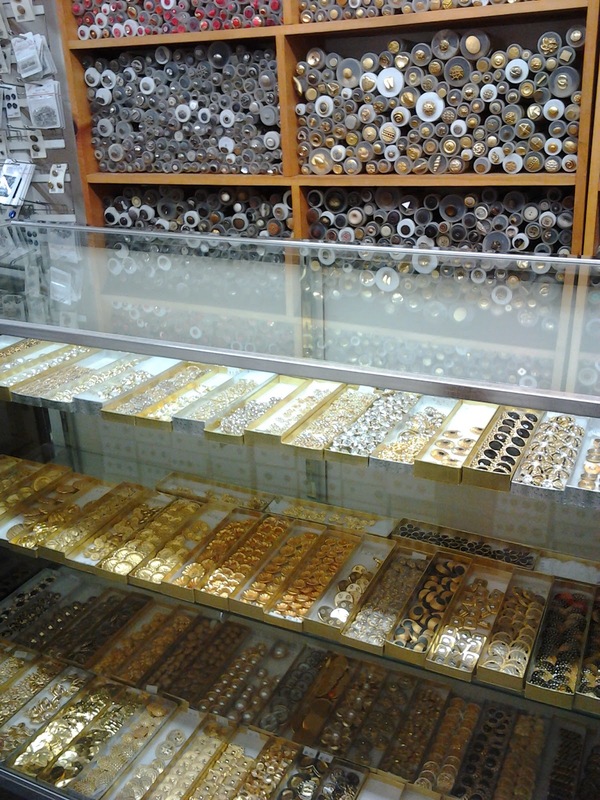 I think this is my favorite bead store because it has funky metal bits! 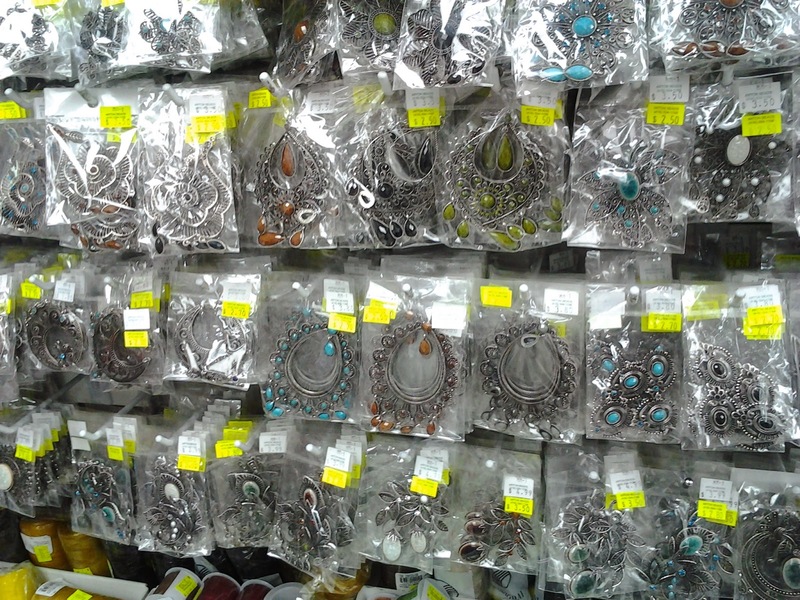 The funky metal piece section. Just a sampling. 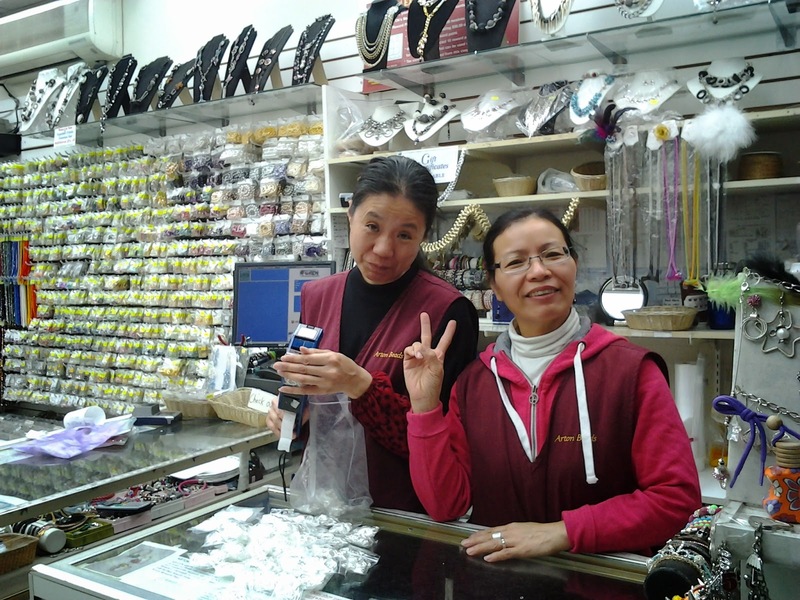 The nice women behind the counter were eager to help us out and get their picture taken! 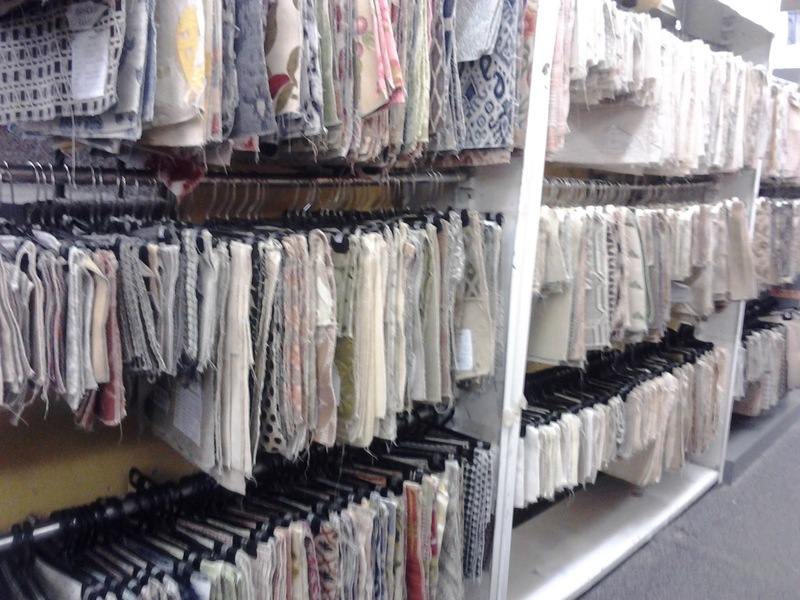 LA Boutique fabrics at 495 is an incredibly clean and well-laid-out store. Check out the stuff in the back! 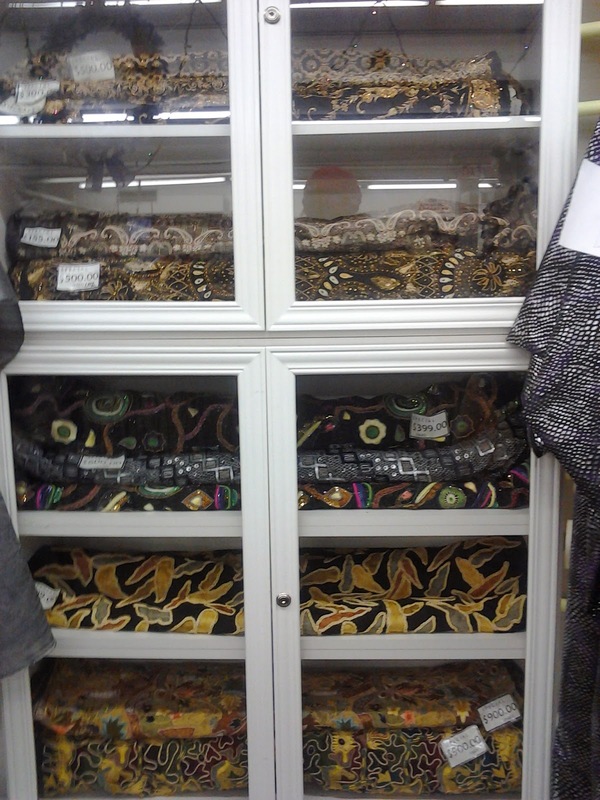 After what seems like endless trendy fashion boutiques (check some of them out, they can have hilarious and interesting underground fashion) we came upon Queen's Fabric and Buttons at 461. 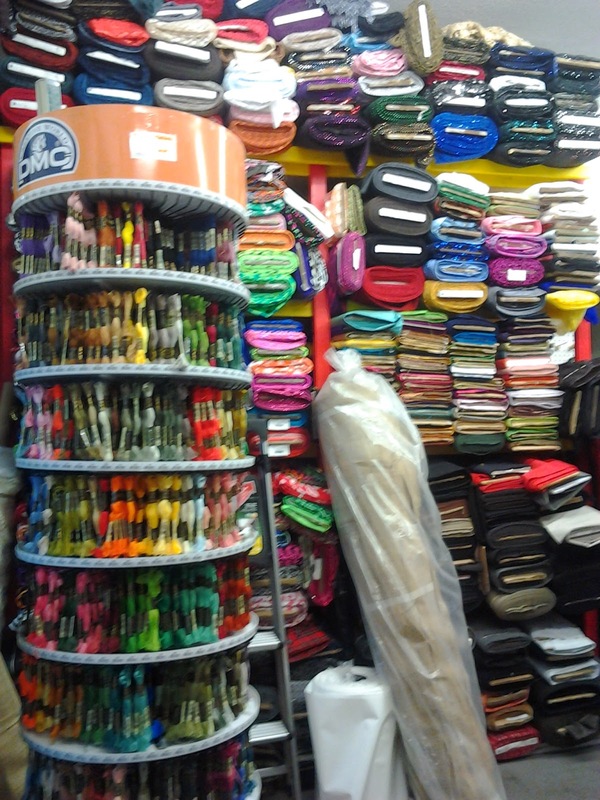 This is a narrow store packed to the gills with buttony things! The buttons behind the counter! 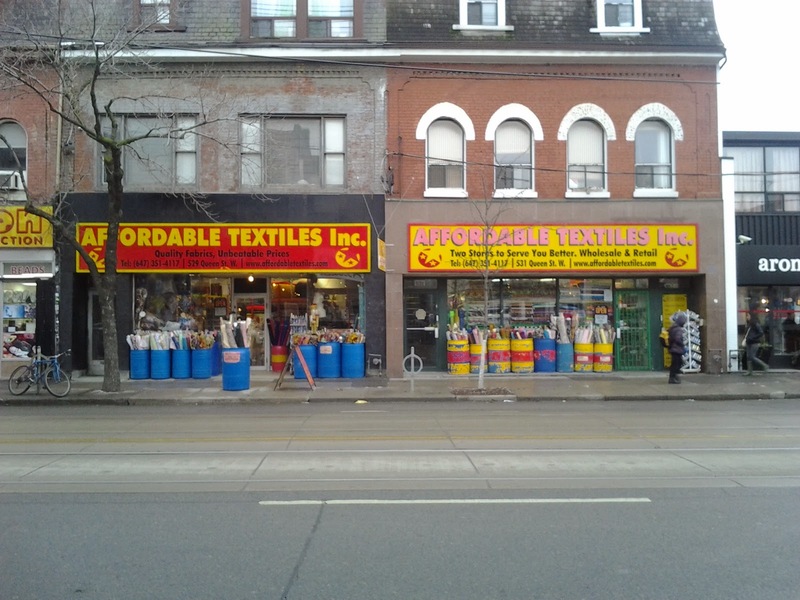 One last store on Queen St. 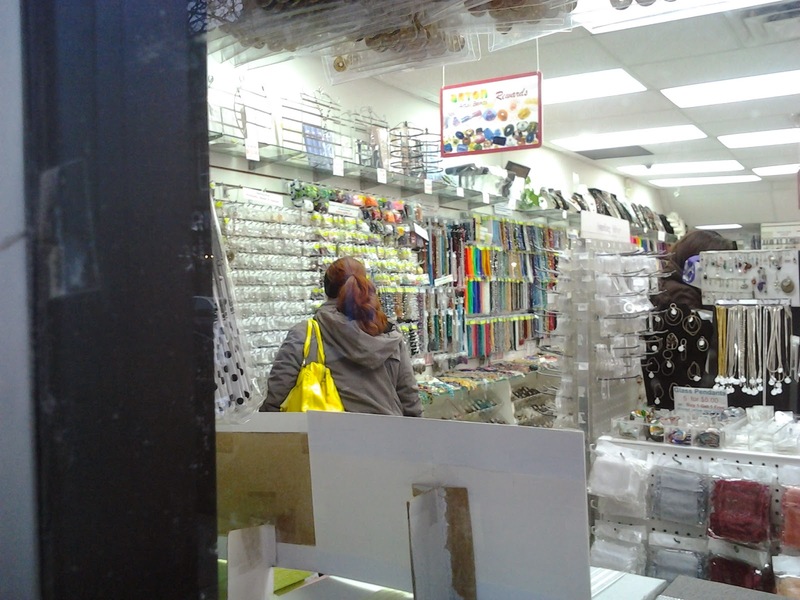 This is Nevren's Sewing Supply/Trillium Button Inc. at 451. 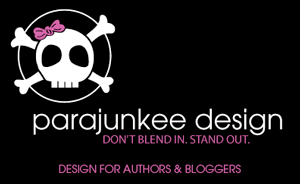 They've got a little bit of everything, but be sure to visit their button section! After Trillium walk back towards Spadina. 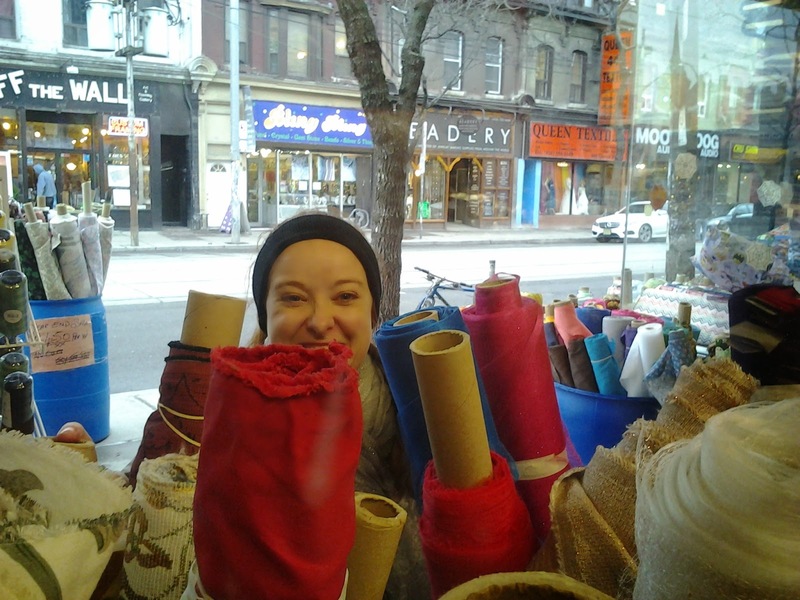 If you cross Spadina and turn right there's an awesome huge fabric store called King Textiles at 161 Spadina. If you don't know the area I recommend stopping here first to get an idea of local prices, then you can shop the rest of the street and come back for the stuff you couldn't get better deals on. Be sure to check the bargain basement! I ended up getting some wonderfully plush fur and this yummy stripey cotton. Maral and Dawn got some too, maybe we'll be costume twins one of these years! 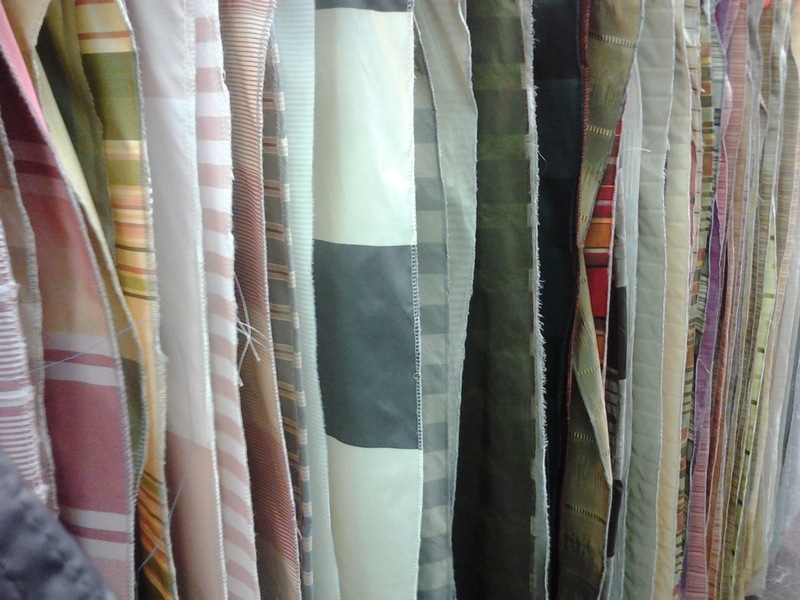 This is Designer Fabrics at 1360 Queen St. Parking is hard here, so try to come in off hours. It's worth the trek, though! Although billed as decor fabrics it's actually pretty well rounded, with two floors of choices! The first floor is interesting. 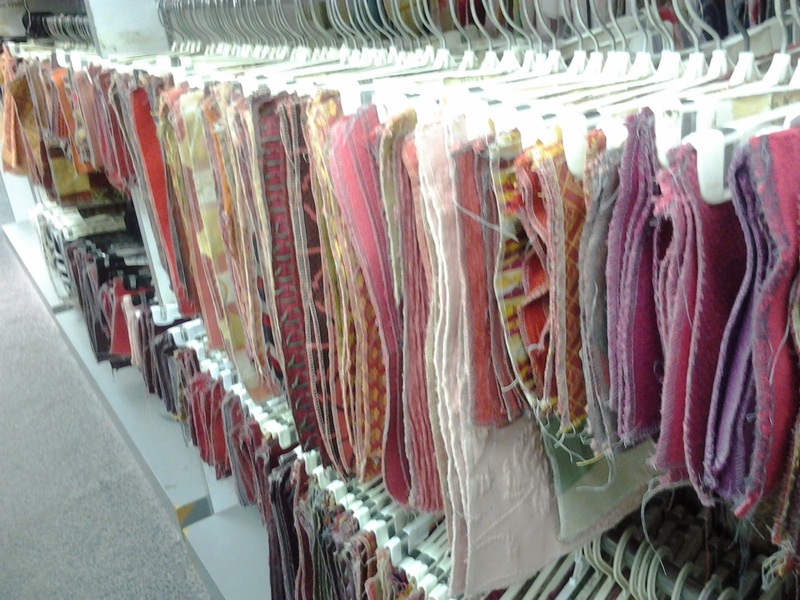 You don't browse fabrics, you browse samples. When you find one you want cut you bring it to a cutting counter and they find the roll and cut the fabric for you. The cabinet full of expensive, tempting stuff! One place I haven't made it to that I wish I had: Lens Mill. I hear AMAZING things about it, that it's huge and full of gems, but it's north of town and a bit of a trek, so I've never made time for it. I hope to come Costume Con! I'm so glad I got to shop Toronto. It's an amazingly fabric-full town, and I always find gems here. I can't wait to go back in a month for Costume Con and shop again!